Our solvent based alkyd enamel boundary marking paint comes in round metal gallon cans. 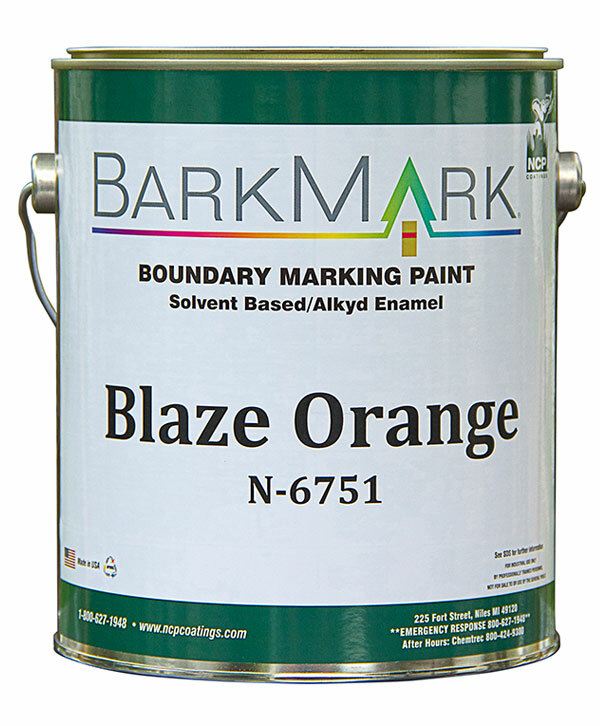 This lead free alkyd enamel was formulated to give the long last mark required by professionals when designating boundaries. This product will maintain its visibility for 6-8 years before you need to reapply. 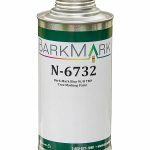 Designed to be applied with a brush and sprayed down to -20 degrees F. Can be mixed with mineral spirits if you want to spray it on. Dries fast and is rain fast within 1 hour after applications. Choose from seven highly visible colors. 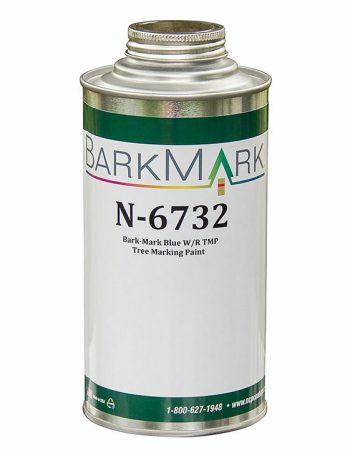 1) Please order BarkMark products in full case quantities per color. 4 gallons, 12 quarts or 12 aerosol cans. 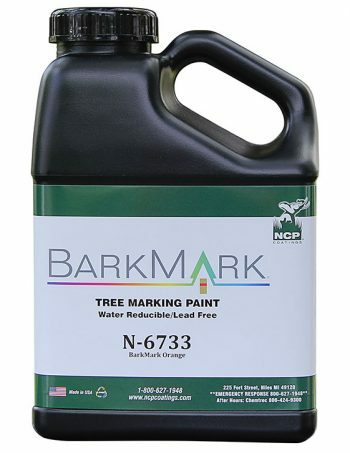 1) 120 Gallons, 480 Quarts or 996 Aerosols and over qualify for prepaid freight. 2) Fuel surcharges apply to FOB destination orders. Call before is an added cost. 3) Order Confirmations will be emailed with shipping costs and correct totals included based on quantities ordered.